The Little Mouse Santi, written by New Orleans author David Eugene Ray, has earned the prestigious gold Mom’s Choice Award®. Having been rigorously evaluated by an MCA judging panel, The Little Mouse Santi is deemed to be among the best products for families. The Mom’s Choice Awards® has named The Little Mouse Santi, a children’s book about a mouse with identity issues, as among the best in family-friendly media, products and services. This is the first book release from Confetti Park, an independent publisher and children’s media workshop in New Orleans. 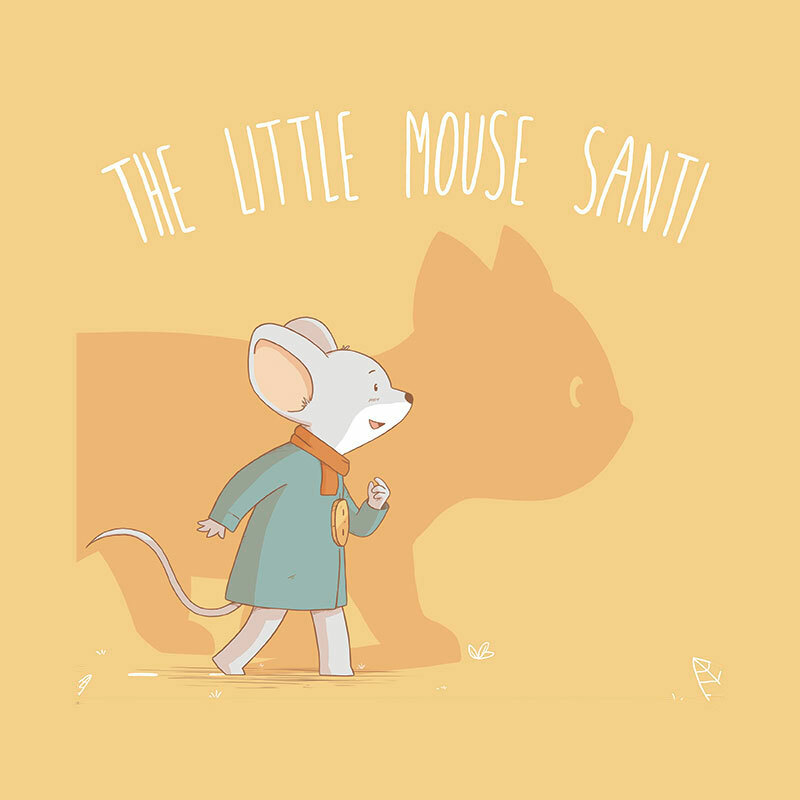 The Little Mouse Santi is a 32-page illustrated children’s book that explores one of the most important aspects of a child’s life, the search for identity. Santi wants to be a cat, and he must confront his fears in order to realize his dream. The story ends with a whimsical twist: Santi learns a valuable lesson about self-determination and also learns he is not the only dreamer! The Little Mouse Santi was written by David Eugene Ray (@Aquarium_Dave on Twitter), a former schoolteacher who works at the Audubon Nature Institute in New Orleans. It was illustrated by Santiago Germano, an animator and illustrator from Uruguay. The Little Mouse Santi was released in early 2015, and has received excellent reviews, including a Kirkus star. It is available for sale for $15 through Barnes & Noble, Amazon, some independent booksellers, and at the Confetti Park website. Confetti Park is a children’s media workshop, podcast, and weekly radio program based out of New Orleans. The name for Confetti Park comes from a small playground in the heart of Algiers Point, a neighborhood on the bank of the Mississippi River. The next release from Confetti Park is a CD of original children’s songs inspired by life in Louisiana, out in Fall 2015, featuring a chorus of kids and a lineup of New Orleans musicians. The Mom’s Choice Awards® (MCA) evaluates products and services created for children and families. Products and services bearing the company’s mother-and-child Honoring Excellence Seal of Approval have earned the MCA distinction for helping families grow emotionally, physically and spiritually; being morally sound and promote good will; and are inspirational and uplifting. In addition to being a best-in-class company for the awards industry, the Mom’s Choice Awards provides collaborative lifetime marketing and promotional support to its Honorees. The company has invested heavily in creating educational, marketing and event opportunities to help Honorees and Distinguished Alumni reach their key markets effectively. The Little Mouse Santi from Confetti Park on Vimeo.